Categories: National Titles, Pocket Naturalist, Top Sellers. The adorable ladybug is one of hundreds of species of invertebrates found in and around your home. 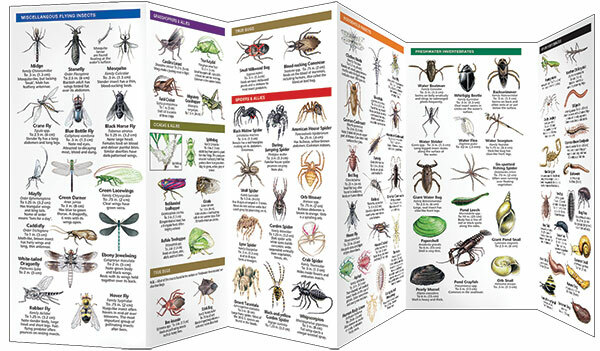 This beautifully illustrated guide highlights over 140 familiar and unique species of beetles, bugs, spiders, flies, aquatic insects and everything in-between. 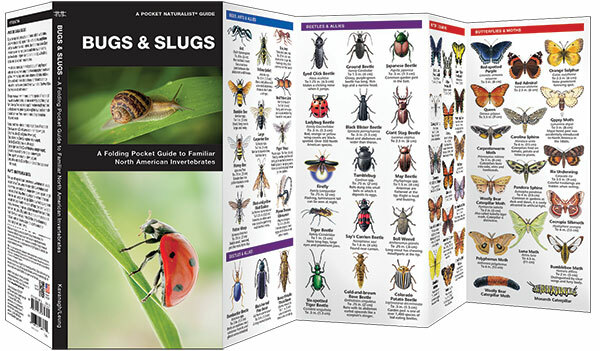 Also identifies the differences between different types of invertebrates, the eight major groups of insects and tips on identifying species in the field. Laminated for durability, this lightweight, pocket-sized folding guide is an excellent source of portable information that could save your life. Made in the USA. Our guides are available from fine retailers nationwide or online. Use our retail locator to find a store nearest you, or shop online via the “buy now” button below. Are you a store or distributor who's interested in carrying or products? Please visit out Become a Retailer page to find out more.